Leicester will be without suspended midfielder Wilfred Ndidi when they host Newcastle on Saturday. Ndidi was sent off as the Foxes won 2-0 at Brighton last weekend to continue their push for a seventh-place finish in the Premier League. Leicester are three points behind Burnley, who are currently in seventh, with seven games of the season remaining. Newcastle, meanwhile, have boosted their survival chances with back-to-back victories over Southampton and Huddersfield that have moved them seven points clear of the relegation zone. "I think they are clear now," said Leicester boss Claude Puel. "They are safe in the Premier League and that's fantastic for Newcastle. They can play with freedom against us. "I think he [Rafa Benitez] made a great job all of the season. It's always difficult for a team to go down to the Championship and come back up the season after." Leicester will be without Ndidi and also Matty James, who has had surgery on an Achilles. Daniel Amartey is set to return to training next week. Newcastle striker Islam Slimani will sit out as he is ineligible to face his parent club under the terms of his loan agreement with the Magpies. However, fellow frontman Joselu is fit after recovering from an ankle injury and could return, while midfielder Mohamed Diame has shaken off the knock which saw him limp off against the Terriers. Leicester have won each of their last four Premier League games against Newcastle. Only twice before have they won five consecutive top-flight games against an opponent (vs Aston Villa in 1961 and West Ham in 1966). 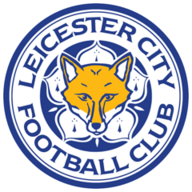 The Foxes are unbeaten in six home Premier League games (W2 D4), with the last three all ending level. They've not drawn four in a row at home in the top-flight since March 2004. Away from home the Magpies have won just three Premier League games this season, all against sides currently in the bottom seven (Swansea, West Ham and Stoke). 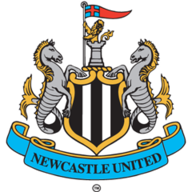 However, Newcastle are looking to secure three consecutive Premier League victories for the first time since September. Newcastle's win over Huddersfield was a massive result but I've got to go with Leicester, they're a dangerous team. I would say Newcastle are a win away from safety. I think 38 points is enough - you look at Southampton and Stoke, how are they going to get to 38? Newcastle only need one win, but that's hard to get.